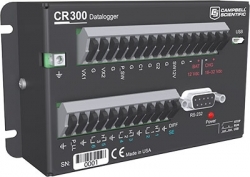 The CR310 has the capabilities of the CR300 but benefits from the addition of removable connectors and an integrated 10/100 Ethernet connection. It is available with optional integrated wi-fi and licence-free radios for wireless networking. Providing complete compatibility with a variety of measurement and communication protocols, the CR310 supports TCP/IP, Modbus, DNP3, SDI-12, HTTP, FTP and email. The first CR300 model was launched in March 2016. Utah-based Campbell Scientific has since released various onboard radio options. 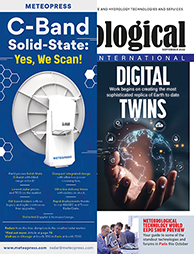 According to the company, the CR300 range combines many of the best capabilities of full-size Campbell Scientific dataloggers with the smaller size and price of its compact dataloggers. Among the new and improved features are a much richer CRBasic command set and serial communication capabilities, and the capacity for larger, more complex programmes. The CR300 also has its own onboard compiler.